Archaeological evidence of art dates back tens of thousands of years. Minister Cotton Mather provided the earliest written documentation of rock art in North America in 1690. 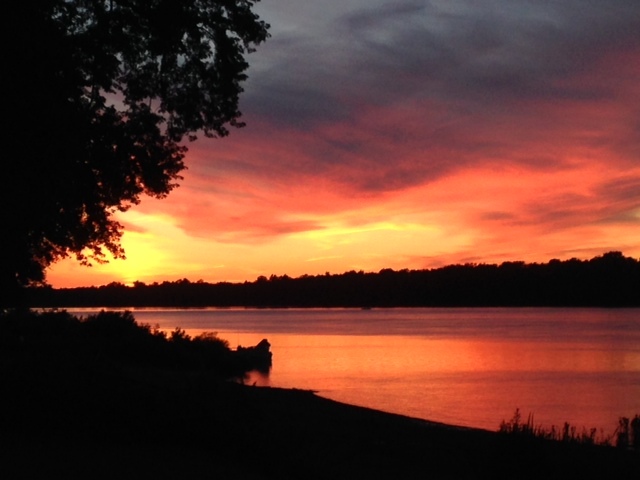 Maryland’s largest collection of prehistoric rock art was found along the Susquehanna River in Cecil County. The petroglyphs occurred on islands below the Bald Friar Falls. Petroglyphs are figures carved into rock, varying from geometric shapes and patterns, to recognizable objects from nature and early American Indian societies. Although the meanings behind the petroglyphs are uncertain, they are believed to be ways of storytelling, depictions of spiritual beliefs, and/or expressions of artistic creativity. In 1936, the Maryland Academy of Sciences rescued the carvings from an impending inundation from the construction of the Conowingo Dam and displayed the rock art outside of the Academy in Baltimore. The carvings were later moved to Druid Hill Park, among other local locations. 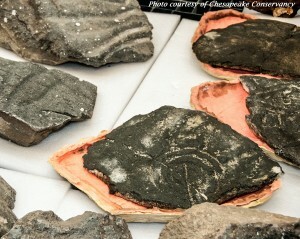 The petroglyphs were recently rediscovered and brought to the Maryland Archaeological Conservation Laboratory for curation. The Envision the Susquehanna core team was engaged in the effort to return the Bald Friar Petroglyphs to their region of origin. 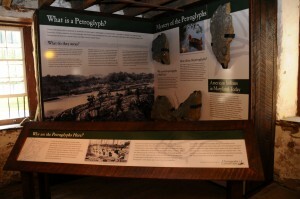 The petroglyphs are now highlighted in an interpretive exhibit in the Grist Mill building at Susquehanna State Park, which will celebrate its official opening soon.